Where is CryptoHawk business location? CryptoHawk is located in Switzerland. CryptoHawkis new Swiss-based platform that aims to revolutionize the world of cryptocurrencies. Cryptohawk offers the first solution of cryptocurrencies in the world. The company will offer many money services. They will provide payment options, ATMs, credit cards and fiat support. Users will be able to use their credit cards to shop from retail stores with cryptocurrencies. CryptoHawk will provide a solution to all the cryptocurrency markets. They will bring all the cryptocurrencies together as one. The Swiss based company uses a technology to connect everything that is related to cryptocurrency. Cryptohawk will provide a solution for users to be able to exchange all cryptocurrencies offline, own a cryptocurrency ATM, and have low-cost credit cards. In summary, they will serve as a perfect payment solution for shop owners. The ICO is led by a team of capable and experienced marketing experts, smart minds, graphics designers, consultants, and programmers. The company will bring their integrity, creativity, and uniqueness to revolutionize money. Cryptohawk created its own currency to give entitles the opportunity to partake in the company’s profits. In addition, to their online services, the company will help cryptocurrency to become popular among average individuals. They’ve announced their plans to help cryptocurrency go mainstreams. One of their plans will be to distribute credit cards for cryptocurrencies payment and ATMs that will allow users to exchange cryptocurrencies for cash. The company’s website is available in German and English. Cryptohawk only has a business whitepaper, but their technical whitepaper is lacking necessary information. Cryptohawk will soon release their Android and iPhone App. The app will enable users to make cryptocurrencies transaction with swift. The ongoing demand of cryptocurrencies is called digital assets. Many companies have previously aimed to solve the problem of converting cryptocurrencies to real cash but they have failed. 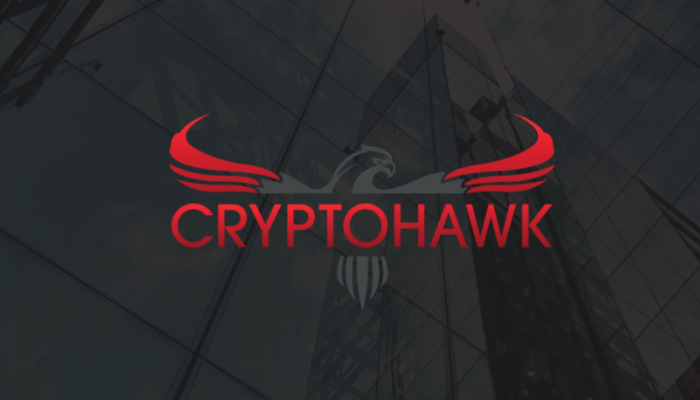 Cryptohawk is the leader of cryptocurrencies and they will provide the fastest and the most convenient way to trade exchange cryptocurrencies. CryptoHawk is the leader in the cryptocurrency field. They will provide utmost security and transparency to its users. Their app will enable users to perform secured and safe transactions from anywhere in the world. Cryptohawk knows no limitations. CryptoHawk has planned to release more technical whitepapers in the future. They are not only limited to bitcoins, Ethereum, Ripple, Dash, and Monero, but all cryptocurrencies that exist on the blockchain technology. Cryptohawk provides a wide range of solutions for cryptocurrencies. They will distribute trust from the intermediaries to the service providers. Cryptohawk offers one of the most innovative solutions for cryptocurrency payments. They offer any transaction that is related to cryptocurrencies. It is a safe and secure network in which buyers and sellers meet to perform transactions. The main advantage of Cryptohawk is that it is the first of its kind to offer such type of transactions. CryptoHawk is not only limited to transactions in bitcoin or a few famous cryptocurrencies but it facilitates almost all cryptocurrencies. The huge list of cryptocurrencies offers all users around the world the opportunity to exchange, invest and earn an unlimited profit by through one means. CryptoHawk offers the world’s first all-in-one innovative solution for cryptocurrencies. The characteristic features of CryptoHawk lie in the fact that it is the first of its kind service provider. A client-oriented service at such a big scale was never imaginable until CryptoHawk came into existence. Cryptocurrency is still new and obviously, any new big thing requires a revolutionary effort by a pioneer to let it avail its potential. CryptoHawk is one of its kinds. It is faster than any mode of virtual currency transfer. It is safe and better at protecting your currency than all the other available options. The pioneering ideas of making cryptocurrency mainstream will be made possible only by CryptoHawk. Cryptocurrency is invading cash-based systems daily. The decentralized approach to handle and transfer money which is used by cryptocurrency is handled tactfully and smartly by CryptoHawk. The DAOstack ICO Sold Out in 66 Seconds…a Sign That the ICO Movement is Picking Up Again?